The Canon 6D was released in 2012 as an answer to the Nikon D600. Now purchasable for under $1000, how does it stand up in 2018 – and beyond? Once holding the title as Canon's most affordable full frame camera, the Canon 6D is a cannon in every sense of the word – an explosion of image quality in a solidly built (if heavy and unsophisticated) package. Released in 2012, this is by no means a cutting edge camera body – but you already knew that. In the 6 years since this camera was released, imaging technology – like ISO performance, autofocus speed and accuracy, video capability and more – has grown by leaps and bounds. But with that said, the vicious cycle of incremental feature upgrades can sometimes fool photographers into turning their nose up at affordable legacy options. In this review, we've put the Canon 6D to the test in the real world on professional shoots and walk-arounds to look past comparison charts and see how well you can expect it to perform in the real world. After my Canon 5D Mark II bit the dust (the mirror fully fell out, and I was too lazy to get it fixed) I upgraded to the Canon 6D to get my Canon full-frame fix at the cheapest possible price. Let me explain why, as a happy Fuji shooter, I felt it necessary. Peter using the Fuji X100F in Brooklyn. Canon 6D, Canon 200mm f/2.8 L.
My every day carry, the Fuji X100F, and my semi-pro shooter, the Fuji X-Pro 2, are light and nimble. Their EVFs are advanced and the AF is instantaneous. They're total joys to shoot and I've never felt held back by them. But at this point in my photography career, using a full frame DSLR feels like I'm bringing out the 'big guns' – and sometimes, that's just what I need. On my paid gigs, the full frame Canon will almost always be my first pick. For me, full frame sensors have an easier time taking 'grander' photos: milky bokeh, sharper detail, richer colors, and better ISO performance for those tricky low/mixed lighting shots that can make or break a clients approval. And while I may get some criticism in the comment section for the following statement, I stand by it: even when viewed on a small mobile screen, the magic of full frame photographs shines through. It's a level of subject isolation, background separation, dynamic range, and bokeh rendering that comes together in a wholly unique way. 2012, 2018, or beyond – there's no doubt about it: a full frame sensor outputs a wonderful image. While Canon's imaging technology has improved since the 6D's release – bringing along with it better ISO performance, more stops of dynamic range, and a more thorough capture of sharpness in detailed areas – these improvements are simply the frosting on the cake of a powerful, professional grade sensor. Image quality is where the Canon 6D shines the most. If it's age shows through the kinks in the handling or the failings in it's performance, it more than makes up for it with the sheer impact of the photos. The balance of sharpness and creamy bokeh captured by this sensor in tandem with professional-grade glass like the Canon 100mm f/2.8 is mind blowing. In areas of dense foliage where other sensors might render busy, over-sharped, or muddy, the Canon 6D captures something lush and true-to-life. Reviewers have critiqued the shadow latitude of the Canon RAW – in other words, how difficult it is to push the dark areas of your photograph brighter in post without generating noise – but I haven't found this to be too significant in the case of the 6D. In real world scenarios – noon sun and deep shadows in the same exposure – the Canon 6D soaks up 13 stops of dynamic range, edging out the Canon 5D Mark III in terms of sheer power. And of course, it wouldn't be a Shark & Palm review if I didn't wax poetic about the ineffable characteristic of the image quality. To my eye, there's something very specific and gorgeous about the way the sensor renders blown highlights. I know, blown highlights are unrecoverable and never something to aim for... but when they happen, the transition from color value data to pure white seems creamy, gradual, and airy. Canon 6D Video: Good or Bad? 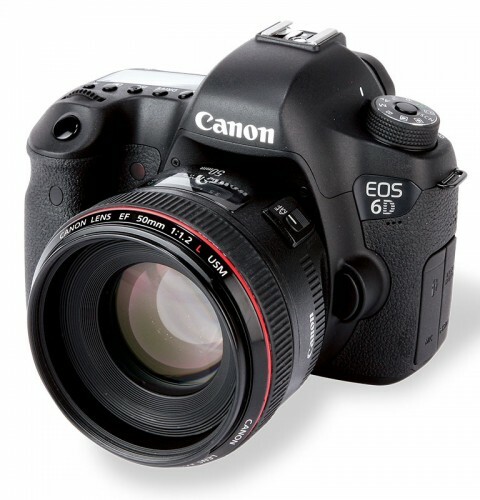 Canon DSLRs have been a long time favorite of lower budget filmmakers, and the 6D should be no exception. For certain types of footage, this camera – specifically with its ability to take full advantage of gorgeous L glass like the Canon 50mm f/1.2 – will render wonderfully creamy and cinematic footage, not online the Canon 5D Mark II or III. But the unfortunate reality is that the 6D is a moire machine. Any triggering pattern – cloth, mesh, netting, and more – will render as distracting banding. In fact, Petapixel posted a thorough investigation of this issue. If you don't plan on shooting those kinds of textures – for instance, if your only focus is wildlife or landscape –, the 6D is certainly no slouch in the video department. But the moire issue is a big weakness that can limit the camera's versatility. The verdict? While image quality in stills is unmatched, the 6D is a bad choice for semi-pro or above video productions. If clean footage is your priority, consider the Canon 5D Mark III as a better option for a full frame video camera – but be prepared to spend a more realistic amount of money. ISOs past 3200 become progressively noisy at full res, but certainly clean enough for web use up to 6400. Canon's noise rendering at higher ISO's generates clouds of magenta/green in the shadows and a loss of detail throughout, so it's best to stay below 6400 when possible. The 6D's decent autofocus speed, favorable ISO performance, and gorgeous image quality makes it a versatile and well rounded camera body. But just because a camera can take top tier photos doesn't always mean it's the right camera for you. Shooting street with the 6D is a pain. It's simple physics that full frame DSLRs are large and obtrusive, and even if you manage to set a hyper-focal distance and shoot from the hip, the shutter is almost comically loud. Sports and wildlife – specifically wild bird photography – are niche specialists that may be better served by a camera with a higher burst-rate, as the Canon 6D maxes out at 4.5fps. Additionally, a full frame sensor makes nailing focus tricker, given how much more shallow your depth of field becomes. Family photos will be captured immaculately, but you may feel burdened by the solid body and large full-frame glass. Video performance, as discussed, has the fatal flaw of a sensitivity to moire, and should be avoided as a dedicated video camera for any serious production. If you're looking to purchase this camera, be sure that it fits your needs: a camera that will reliably nail any image you set out to capture with jaw dropping image quality. 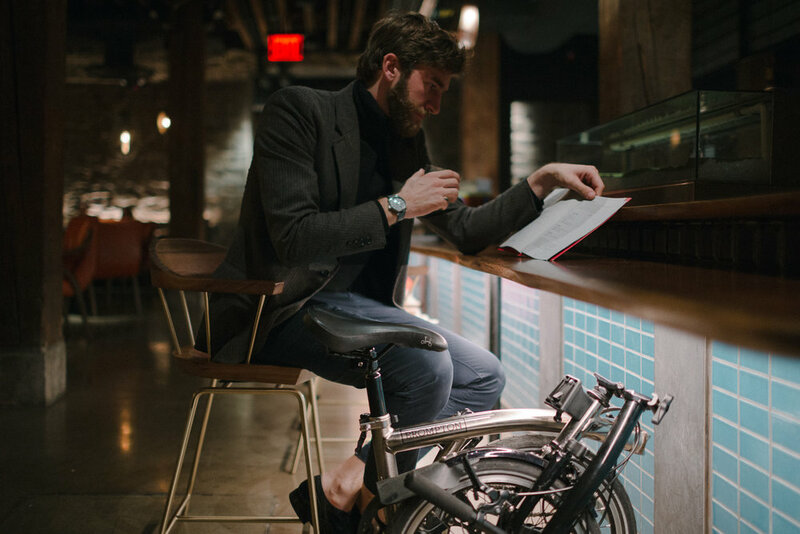 But if you're looking for a walk-around lifestyle camera or prioritize ergonomics and usability, look no further than the Fuji X100F. It's obvious after a few Google searches that the competition for a cheap full frame is largely between the Canon 6D and the Canon Mark II. Lucky for you, we've already reviewed the Canon 5D Mark II to help you make your decision! Looking for a short answer? The determining factor between the 5D Mark II vs the 6D is likely your willingness to spend an extra few hundred dollars for vastly improved autofocus and incrementally better ISO handling. If you're a photographer on a budget who wants to max out image quality and use autofocus reliably – meaning fast-paced photography, moving subjects, ensuring your focus is tack sharp for almost every shot – the Canon 6D is an unbeatable purchase. The bang for your buck is unreal, and the performance features that tend to hold back legacy cameras (like autofocus and ISO handling) are perfectly adequate here. That said, make no mistake – the comparatively unsophisticated 11-point AF system ported over from the Canon 5D Mark II is far from perfect, and will be outmatched by many modern offerings. But buying older cameras doesn't only mean paying less – it also means not having the latest and greatest feature sets and handling one might expect in 2018. For the photographer who prioritizes reliability and image quality at an ideal price point, the Canon 6D is sure to make you very happy. The Canon 50mm f/1.2 L is big-league. It's one of those magic lenses that breaks all the rules. It's an uncomfortable truth, but this lens can and will make your photos look better. Read on to learn about the unique combination of bokeh quality, chromatic aberration, and sharpness that makes this lens the crowning jewel of Canon's 50mm line up. This long, fast telephoto prime is sometimes tricky to use – but the price is right, and the image quality is even better. Optically, the Canon 200mm f/2.8 L is a triumph that holds up perfectly well in 2018. But you should know that a 200mm prime is not for the faint of heart. Canon's sensor technology may have lagged behind in recent years, but even their legacy glass remains top tier: the 35mm f/1.4 cleanly demonstrates why Canon is still top dog in the photography industry. This is the definitive "wedding" lens – but it's also the "travel" lens – but it's also the "landscape" lens – but it's also the "art" lens – but... get the picture? Canon 5D Mark II Review in 2019: Is It Still Worth It? Is the Canon 5D Mark II still a good camera in 2019? 11 years after it's release, it remains a top contender... for a certain kind of photographer.